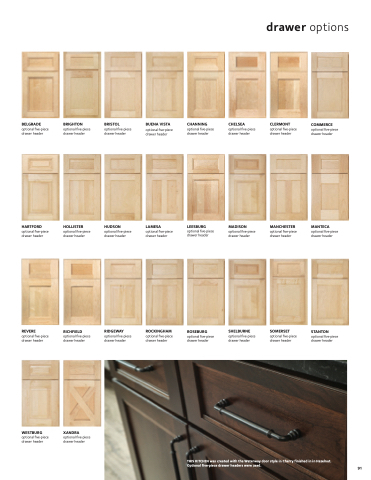 Designers, we have included the price column for each door style and wood type in this brochure. For overlay door styles, you'll  nd it under each door, in the third row of information. Price columns don't change often, but they do change, so when you prepare a quote, always check the current Door Column Pricing. Price columns in this brochure are for quick comparison ONLY.